Welcome. Have you tried to alleviate health problems or physical ailments without success, or have you been given pills or treatments only to find that your symptoms remain? Then find out about Dr. Decuypere's unique approach, with tips for optimum health, and research and publications on alternative health. Are you bothered by health problems such as headaches, weight gain, and insomnia? 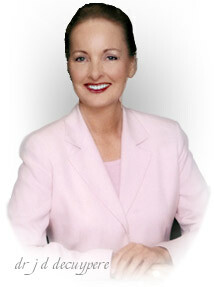 Dr. Decuypere utilizes alternative treatment methods concentrating on nutrition, supplementation, and lifestyle changes. And the doctor recommends ... Sleep Release for a good night's sleep! Read Dr. Decuypere's research and solutions for persistent health problems. 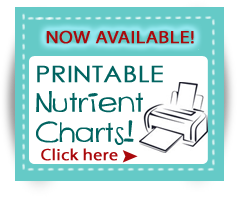 Printable nutrient charts are here! Dr. J. D. Decuypere is a chiropractic physician specializing in alternative health care, nutrition and persistent health problems, with a focus on treating causes instead of symptoms.